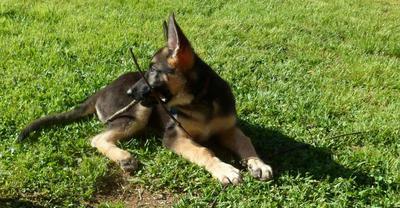 Levi is an AKC male GSD of the Heidelberg Bloodline/Pedigree. He was born on 1/3/2015 to Sire Cory & Dam Palin who has over 51 champions in their bloodline between them! 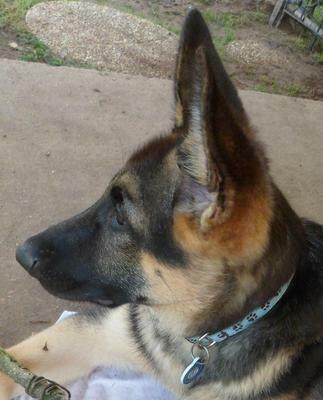 Levi has completed puppy, Intermediate and is in advanced training through petsmart and is now enrolled in training with The German Shepherd Club of Greater Shreveport in Louisiana. He loves to play with all types of balls; tennis, lacrosse, and football. He is a high energy pup and is showing great guard dog skills! He is a fun lovely pup who loves to give kisses!